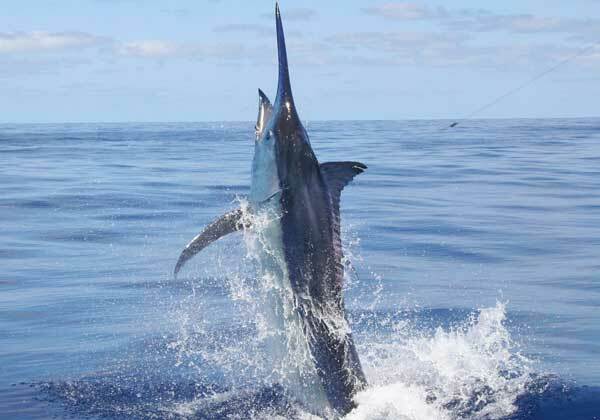 Take your group for flying fish adventure in Spain and Portugal for a blue-water experience of a lifetime. 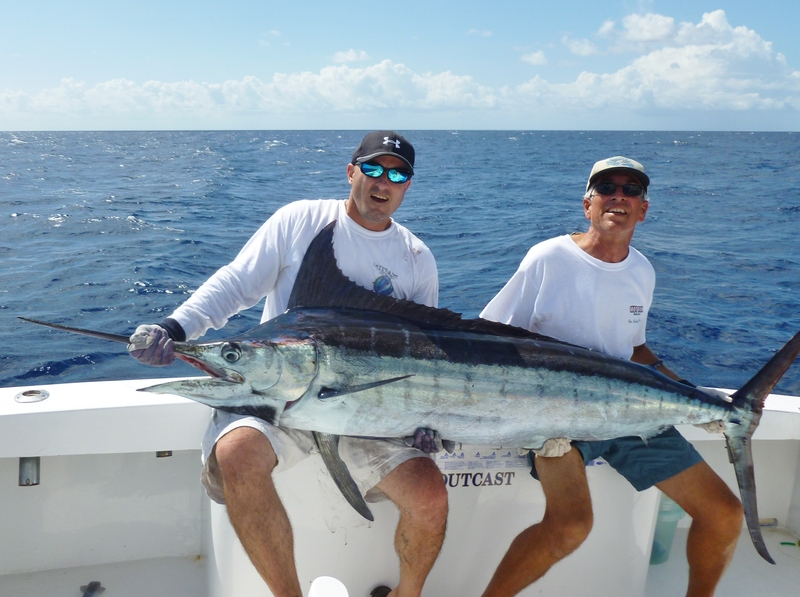 Let Red Mago arrange a spectacular day of first-class fishing on our top-of-the-line fleet of luxury cruisers with all the latest gear, most comfortable seats and an eye for success! 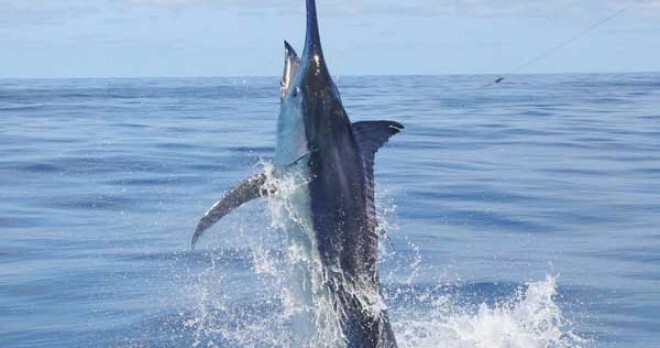 With decades of experience in the Iberian sport fishing industry, we deliver a premium experience sure to be memorable and beyond expectations. 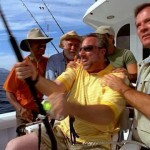 Cast your line and pull in bonitos, amberjack, dolphin, mackerel, octopus, sea bream, tuna, marlin and shark! 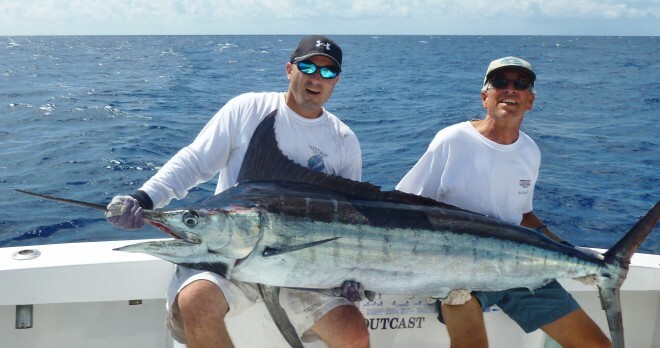 Our expert skippers know all the best spots to catch the big ones, whether for trophies or the dinner plate there will be plenty of chances to reel in the whopper and enjoy a fine day on the water with your friends and colleagues. 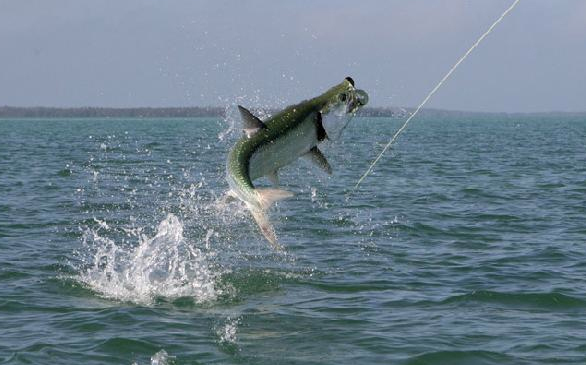 We provide everything needed for a great day of casting, including all gear, drinks and catered lunches and experienced fishermen alongside you to guide you to the catch of the century. Your own boat and captain to keep you heading in the right direction. 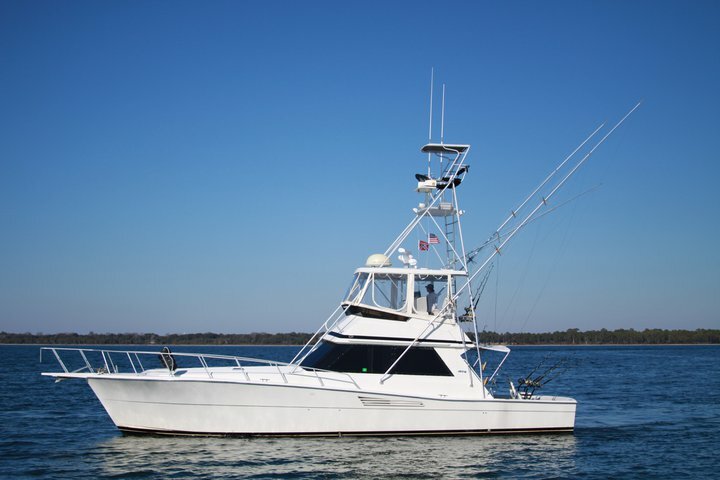 A fully-equipped sport fishing vessel with all insurance, licenses and fishing equipment included. 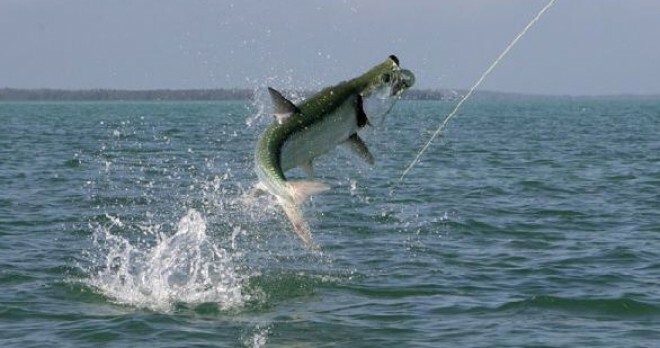 We teach you and help you achieve the best catch possible. 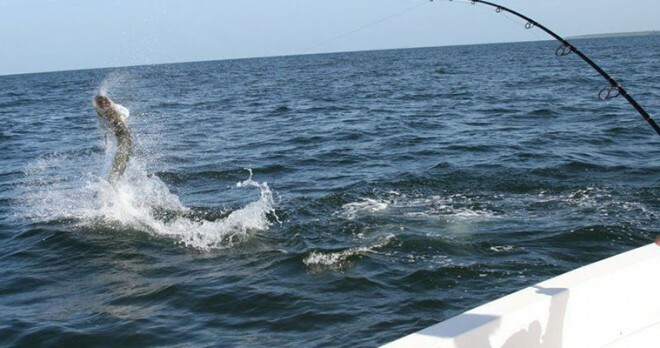 We give you the opportunity with the best equipment and our knowledge for your group to land something special. 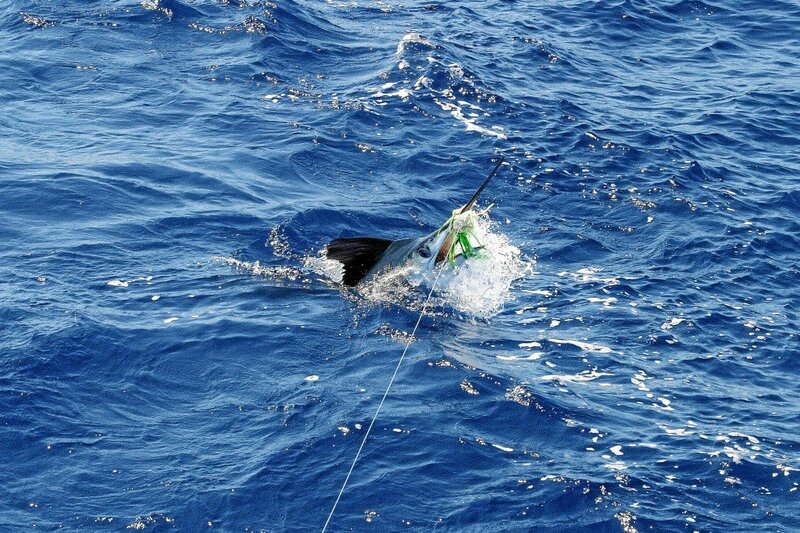 Our experienced skippers will help teach you all the best methods for catching the local favourites. 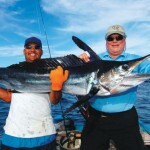 Trolling is a fishing method based on drag lures ideally suited for for big tuna, marlin, and other minor species. 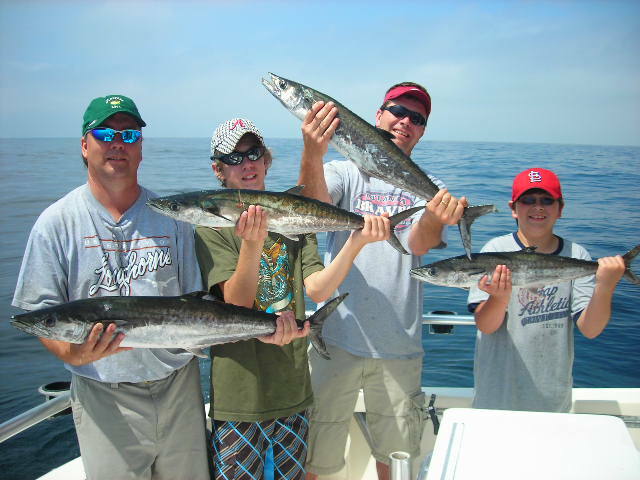 In summer, when groups of mackerel and tannins are plentiful, we look for schools of mackerel and go after young sardines and anchovy. 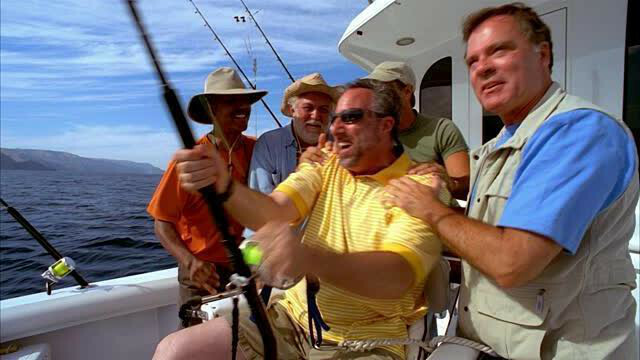 It’s especially fun with reliable and abundant catches. 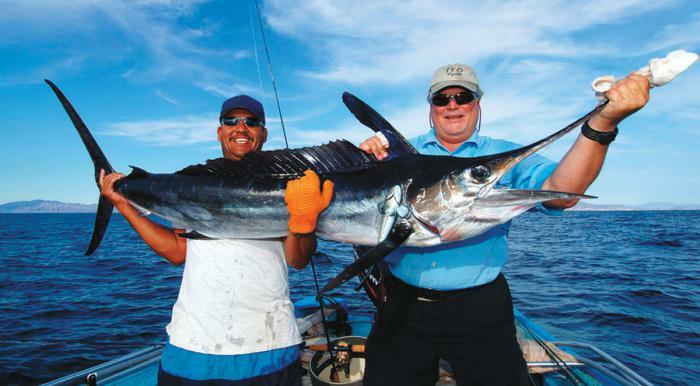 Depending on the season of year, we have chance to catch a great variety of different species using all the best casting and trolling techniques. 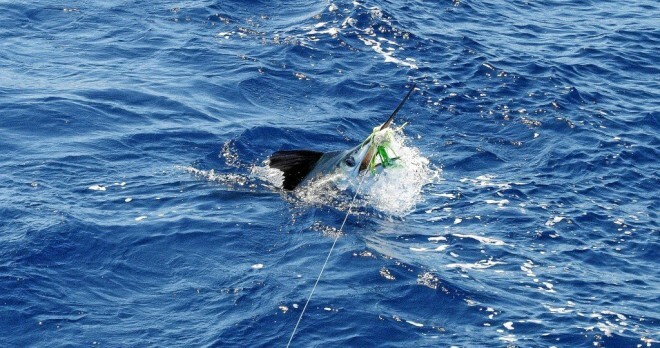 Your corporate group will never forget this amazing day on the water. 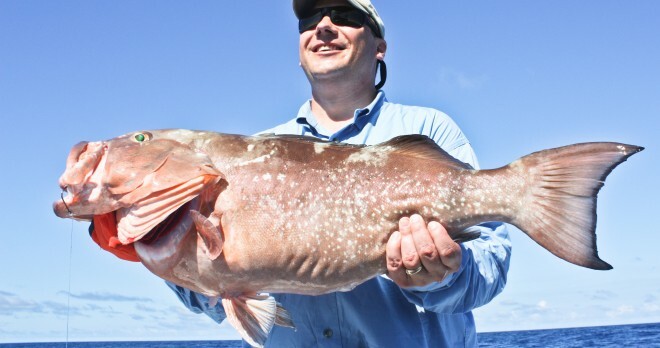 Sun, sea, catered lunch, drinks included and your own boat all come together to create this brilliant deep-sea fishing trip. 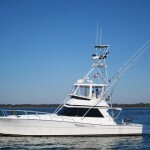 Your local skipper knows the best areas to go and how to help, so you are in experienced hands. 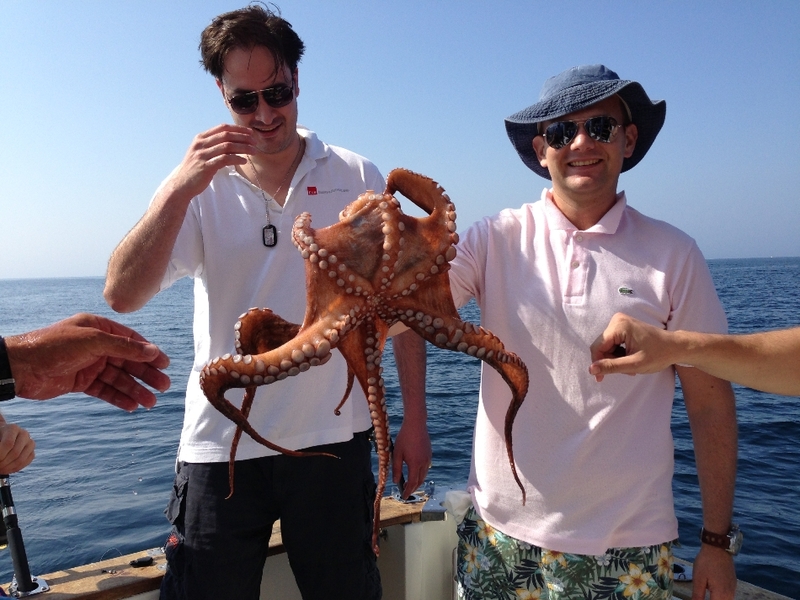 See what you can spot or catch – octopus, seabream, eel and shark – the fishing trip of a lifetime awaits. 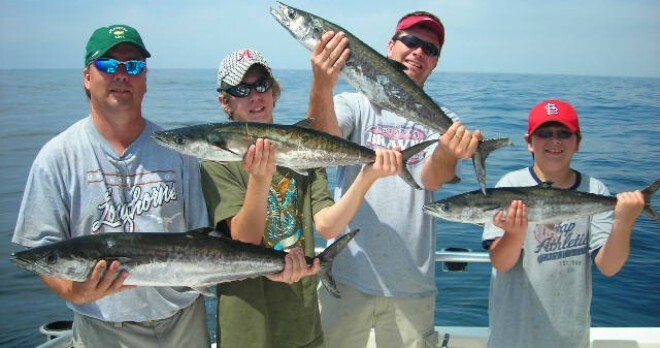 Whether you’re a first-time fisherman or a seasoned pro, this trip caters to everyone. Surrounded by a beautiful expanse of sea, fresh air and warm sunshine this is the perfect activity to combine action and relaxation. 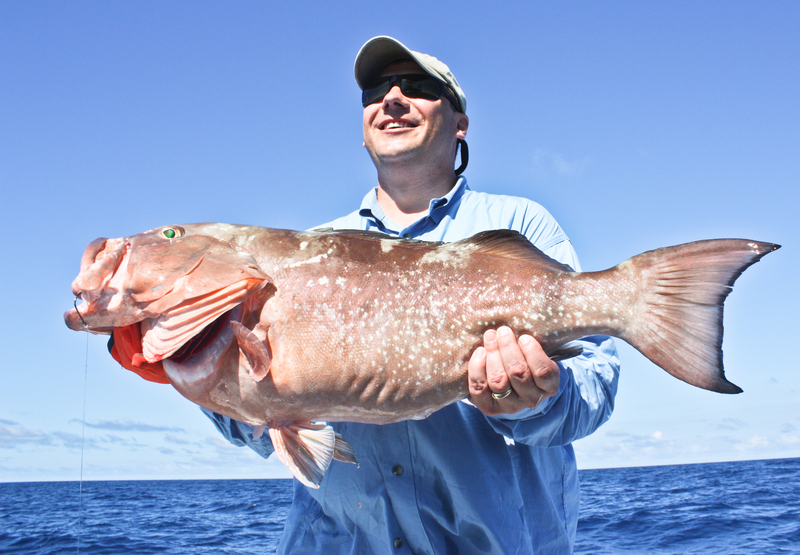 With our top-of the-line boats, equipment as well as drinks and catered lunch included, at Red Mago we are ready to arrange a first-class fishing excursion so you and your colleagues can compete for bragging rites over who caught the biggest fish. 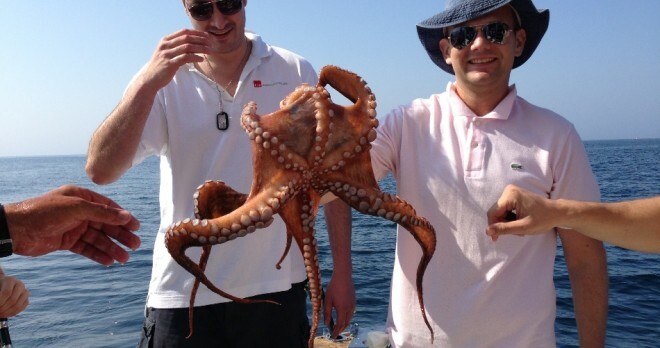 Combine your group excursion at sea with a spectacular mix of premium activities sure to make your corporate visit to Spain and Portugal a success. 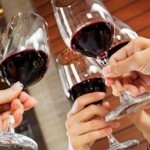 At Red Mago we excell at delivering first-class entertainment designed to impress and delight. Our specialised tablet tours offer a unique way to explore the vibrant cities of Madrid and Barcelona while building that team spirit. Let the spirit of Andalusia transport you to world-class medieval and Moorish palaces. 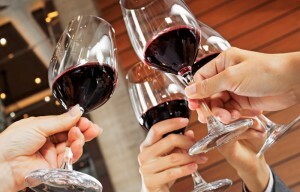 Whatever your destination on the Iberian peninsula our representatives can help you create the perfect events package for your corporate group. We deliver on-time, professional, entertaining activities with 24/7 on-the-ground support that ensures your events, whether for business or pleasure, go flawlessly.